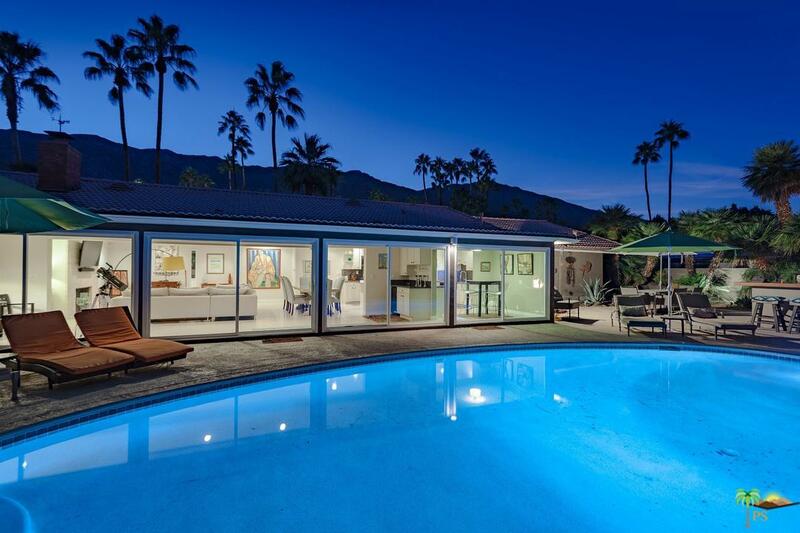 Located in the highly sought after Indian Canyons neighborhood. Move-in ready mid century pool home on the golf course in the wind free south end. 3 bedrooms, 2 baths. 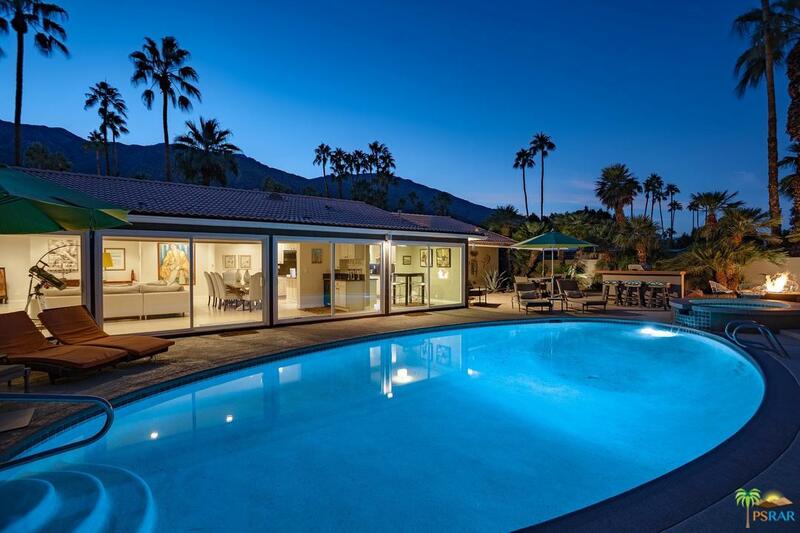 Upon entering the spacious remodeled open floor plan you are greeted by walls of glass looking out over the pool, golf course and stunning mountain views. Recently updated pebble tech salt water pool and spa. The expansive back yard also features an outdoor kitchen, bar area, fire pit and outdoor shower. The huge master suit features a sitting room, walk-in closet and a spa like bath with dual vanities, spa tub and separate shower. 2 additional guest rooms for your friends and family. There is also a 2 car garage with EV charging. This lovely home has also been a very popular income producing vacation rental. Perfect for a full time residence, weekend getaway, income or investment opportunity. Hurry, don't miss out on this one! Sold by Nonmember Agentdefault BRE#01235695 of Nonmember Officedefault. Listing provided courtesy of Mark Bessey DRE#01235695 of Douglas Elliman Of California,.